The health effects of garlic could not be overstated, in other words, everybody knows... still people hardly eat garlic, and many, when they do, resort to garlic powder or garlic salt. How about fresh garlic? 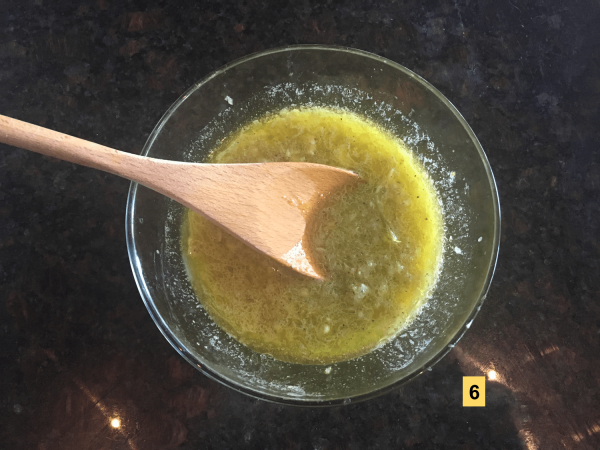 Here is a trick: make a batch that would last you 3-4 days: you can use it on anything, to top raw vegetables, as salad dressing, meat or fish, roast potatoes, add to rizotto or to ratatouille or simply to your avocado and tomato sandwich. Ready? here it is: step 1, take a whole head of garlic, or two if you feel adventurous, step 2, lean on it and crush away the cloves. 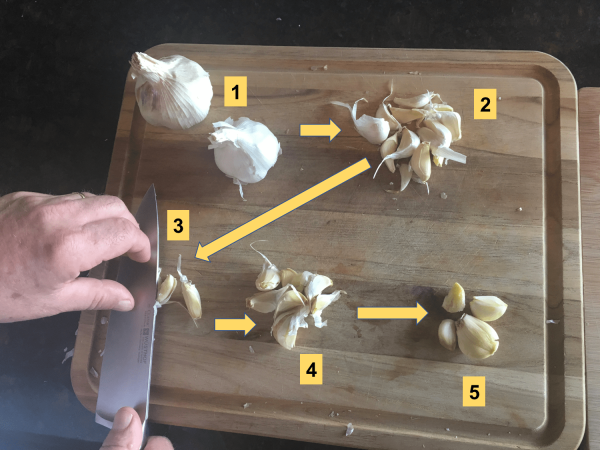 With the blade of a large knife, lean on each clove and crush it lightly, step 3; make a pile, step 4; the peels will be a breeze to remove, step 5; pass it thru a manual garlic crusher into a bowl, add 3-4 T- spoons of oil, salt (if you can eat salt), pepper and 4-8 T-spoons of water; mix with wooden spoon. Final product is Step 6. Store in the fridge 3-4 days. Much easier to use every day. See pictures below.